DUG Insight User ManualFrequently Asked QuestionsFrequently Asked Questions PetrelHow do I transfer depth-converted faults to Petrel? 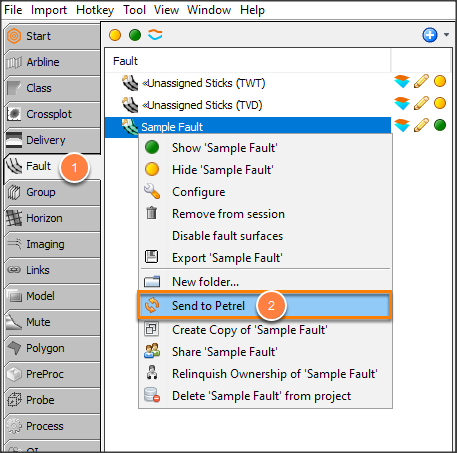 Depth-converted faults can be transferred to Petrel, e.g. 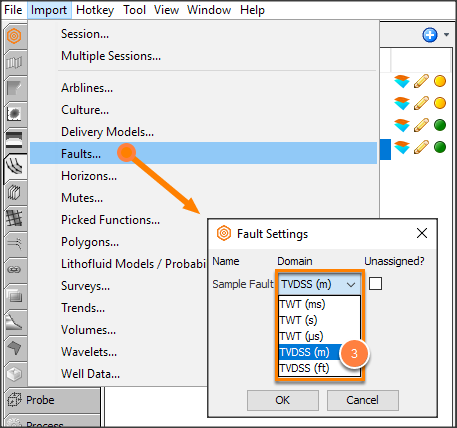 TWT faults as TVD, or TVD faults as TWT. Note: Ensure a velocity model is configured for depth conversion (see How it Works: Time-Depth Conversion). The Petrel link must be connected so that horizons and/or faults can be transferred (see Insight and Petrel Overview). Go to the Fault tab and right-click the fault. In the Export as dropdown box, select TVDSS (m). 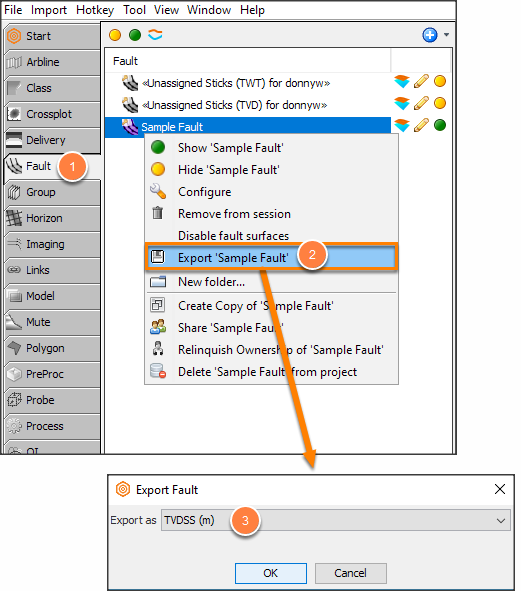 Go to the Fault tab and right-click on the imported fault. Prev: How do I transfer an on-the-fly horizon to Petrel? Next: How to upload to our FTP server?